Some students may have difficulty grasping math concepts the first time they are taught. When this happens, teachers will need to use different approaches to reteach and reach these struggling learners. This book can help! Every lesson begins with a problem designed to pique students’ interest. 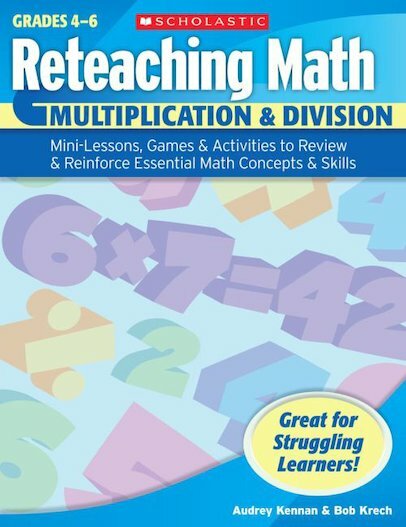 Employing an arsenal of various instructional approaches that use manipulatives, games, practice pages, literature connections, and more, lessons ensure that students master multiplication and division. A surefire way to help every student make the grade! For use with Grades 4-6.